Do You Have Bad Credit? Filed Bankruptcy? There are a continually increasing number of self employed individuals in Cincinnati and this has created a specific demand for a special type of mortgage loans specifically designed for self – employed borrowers. Although there are plenty of available lending programs that self employed borrowers in Cincinnati can qualify for, seldom do they know about what they can do to make the process much simpler and safe. We at The Mortgage Network of Ohio Inc specialize in mortgage loans for purchases or refinancing for the Self Employed and this can be significantly helpful. 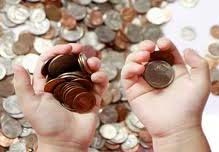 So in order for you to choose the best loan option in the market which will be in accordance to your financial requirements, you need to have a practical guideline to help you make better and more practical decisions in determining the most suitable loan options for your personal financial requirement. Although self employed borrowers can also have the same chance of finding better loan deals as with employed borrowers, the process for self employed individuals are much different. However, as a self employed borrower, your decision for choosing the appropriate loan option will usually depend on several factors when you choose the type of loan you will be applying for. This include the total amount of cash you need, the payment schedule and repayment period which is comfortable for you to repay the borrowed amount. 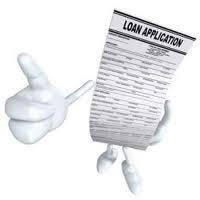 Your credit rating can also help you obtain higher loan amount if you are aiming to gain substantial cash resources for whatever purpose you have in mind that requires bigger amount of money. In Cincinnati, when it comes to mortgage loans for the self employed in market today, the income verification process is the biggest difference. The collateral requirements are the same, the credit scores requirements are the same, but in order to safeguard the interests of the lender more focus will be placed on the business and personal tax returns that are reported through the IRS. With secured loans for the self employed in Cincinnati, self employed borrowers are given the opportunity to obtain funding without having to worry having to go it alone. Here at The Mortgage Network we will walk you through the process so you are the informed consumer. Mortgage brokers in Cincinnati and West Chester, OH. mortgage rates in Cincinnati and West Chester, OH.